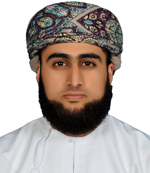 About Speaker As'ad is a GIS Developer for the Special Economic Zone Authority At Duqm since 2014. 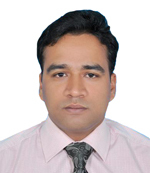 Developing smart applications to improve work productivity is his drive. His interest is the integration of GIS and other systems to enhance work efficiency through Spatial Data Infrastructure Framework Architecture. About Presentation Automating Your GIS! Wished there were more hours in a day? Wished you had a couple of GIS assistants that quietly did all the repetitive processing? Wished you had a few extra hands? We will grant you those wishes. We’ll show you how to do more with some automation tips and tricks. Yep, even if you “area not a programmer” we think you can do this stuff and more. The presentation will included tips for ArcGIS Desktop & Server, Python for non-developer users, FME Desktop, Windows task manager and more. If you are a GIS manger, Specialist, Cartography, GeoDBA, Analyst or Developer you will get a hints for your daily tasks. You don’t need to be a software developer to automate your GIS tasks! 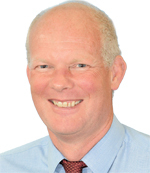 About Speaker John Kedar is Director Strategic Relationships for Ordnance Survey International, a business providing Ordnance Survey knowledge and expertise to assist nations around the world benefit from geospatial information. He is responsible for offering long-term support to overseas government agencies, including working to embed fit-for-purpose and cost-effective national mapping, addressing and information sharing solutions. These improve national economies, enable more effective Government and give benefits to the citizen. John left the British Army (Royal Engineers) to join Ordnance Survey International in 2013. He has 32 years’ experience across a range of engineer, geospatial and operational roles, including commanding the 650 strong Joint Aeronautical and Geospatial Organisation responsible for delivering integrated geospatial support to Defence in peace and war. John has developed government policy and strategic direction for geospatial information and played a key role in furthering the role of geography on successful military and stability operations, disaster relief and the London 2012 Olympics. He was a contributor to the United Nations Future Trends in Geospatial Information Management paper published in 2013 and its revision in 2015. About Presentation From Security to Infrastructure, Location joins up Government Location is the ‘glue’ that turns data and information into understanding, decision making and action in Government and Security. The need for a data-centric rather than product centric approach is growing, enabled by technology and open standards, thereby enabling true machine to machine access and faster understanding and decision making. Critically Government agencies work best in an environment of partnership and sharing data. As governments look more to ‘national solutions’ in all its facets from Infrastructure to Resilience to Defence, so to must the geospatial community. To ensure the best possible policy decisions are made by Government, it is essential that key evidence from a variety of organisations across the public sector is easily and readily available by decision and policy makers to achieve that aim. Ordnance Survey International will explain how this has been achieved by implementing a comprehensive spatial data agreement and common addressing and referencing standards across the whole of the British Public Sector. We will show how many public sector organisations in Great Britain are already using the same spatial data and relate this to some of Oman’s challenges. About Speaker Carsten Rönsdorf is Head of Advisory Services for Ordnance Survey International, a subsidiary of Britain’s National Mapping Agency, and provides advice to government agencies across the Middle East. 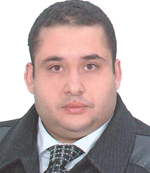 He is developing the product portfolio for smart cities, standard and 3D. Carsten has been at Ordnance Survey for more than 12 years and was previously responsible for developing and managing Ordnance Survey's core data asset, the National Geographic Database, as well as managing the product engineering group. 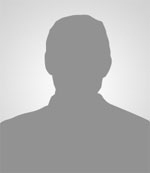 Having been involved in geospatial 3D and data integration since 1996, he has been leeding the standardisation of the Open Geospatial Consortium’s CityGML standard since 2007. About Presentation Spatial Reference Frameworks power Modern Countries In this presentation the importance of authoritative geospatial data to make a country work and provide modern services to its government agencies, private businesses, citizens and visitors will be discussed. Based on frameworks available in the UK and Europe the importance of data modelling, identifier systems and addressing will be shown. About Speaker Dr Lukasz K Bonenberg is a GNSS and geodesy expert, specialising with sensor funsion, deformation montoring and data anlysis. Combines 13 years of geospatial and data analysis experience in industry and academia, programming (R, python, C++) statistics and machine learning. 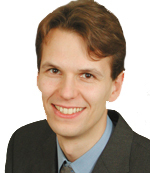 Lukasz received his PhD from the University of Nottingham, where he is currently employed. 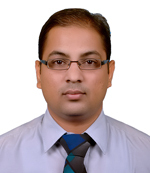 His PhD focused on providing cm level accuracy positioning in areas where GNSS functionality is limited. About Presentation Use of RTK GNSS in Engineering and Science GNSS is an established technology, dominating all sectors dependent on position or time since AS have been turned off in 2000. For engineering application, RTK is most commonly used, allowing for cm level positioning accuracy. This technique requires two receiver, rover and base station in order to operate. A single receiver (rover only) operation is possible, greatly simplifying the work flow, if continuously operating reference station (CORS) network is present. This talk will discuss the advantage of using this technique, based on both speaker experience both in industry and academia (Nottingham Geospatial Institute at the University of Nottingham). Apart from practical examples in surveying, geodesy, monitoring of man-made structures and navigation, this talk will also demonstrate how those advantages can be applied to life sciences (evolution sciences), architecture and archaeology. About Speaker Pim Voogd is managing the survey division of Fugro in Oman. Fugro’s branch office in Oman has over 200 staff and is active in the oil & gas sector and the infrastructure sector. Pim Voogd is working in the geo-information business over 10 years in Europe, Asia and the Middle East. About Presentation Geospatial information: more than a map Within an organization, one single map is typically used by many different users. In this presentation we share user cases and applications of spatial data used throughout the life cycle of an asset (such as a refinery, a pipeline or a storage terminal). Technological developments are on a fast track these days, and it’s clear that this drives and enables organisations to look at geo-information from a different perspective. 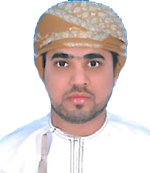 About Speaker Zainb AbdulRaheem Alraisi:Geographical Information System Analyst , got a Bachelor degree from Sultan Qaboos University in Geographic and Master degree in GIS from college of art . she worked in physical planning from around two years and then she shifted to work in GIS directorate in ministry of housing. About Presentation Oman Land Administration project in Ministry of Housing The Ministry of Housing has established goals to be followed in implementing its plans and programs for the housing sector, including the development of housing services provided to the citizen and the beneficiary, and activating the role of the sector in diversifying resources of income through planning and providing lands to meet the needs of the vital sectors in the various governorates and regions of the Sultanate , and to continue in the policy of granting lands , housing assistance and soft loans for citizens of limited income and social security families. The ministry takes into account a set of norms and standards in order to achieve these goals, including the density of population, housing needs, social variables and potential economic developments, as well as the hierarchy of residential dwellings and to link areas with each other, in order to provide better services at current and next stage. Based on above vision and truth the MOH is moving towards creating and updating their land information infrastructure to improve land information delivery services and to establish the core of spatial database infrastructure for all other government agencies by development web based GIS solution for Oman land Administration System (OLAS) for online management and decision support system in MOH. The land administration and cadastral officials involved associated legal and surveying professionals, assuming that they understood land markets, and have developed appropriate professional skills to serve the needs. Land administration is more of a multi-disciplinary endeavour with a focus on land use; land management; land information delivery services and supporting framework for trading in complex commodities toward spatially enabling government. About Presentation Geo-Smart Logistics and transportation in Oman Logistics has become a fast-growing industry in recent years. According to its practical needs, it has integrated transportation, storage, loading and unloading, disposal and information processing. Since few years, Oman has developed its vision 2040 where logistics and transportation represent the main source of income for the Sultanate after oil and gas. In order to improve the efficiency and high quality services of the logistics and transportation sector, geospatial technology plays an important role. As example, geospatial technology can improve the logistics planning and analysis. In the logistics management, this technology can combine spatial and enterprise’s business data with business processes in order to optimize the logistics activities and services, etc. The purpose of this presentation is to present the critical role played by geospatial technology in the logistics and transportation sector. About Presentation NSDI Supporting Economic Growth NSDI has a key role in supporting the economic growth for the country in many ways. Simple access to geospatial Information is one of the key parameter for an efficient and economically prosperous society. The presentation will focus on discussing the various case studies on how SDIs/NSDIs have supported the economic growth for the country. About Presentation Road to Unified Geospatial Data – A NSDI Initiative "National Spatial Data Infrastructure" (NSDI) play a key role in technology, policies, standards, and human resources necessary to acquire, process, store, distribute, and improve utilization of an unified geospatial data environment. NSDI first step towards the unified geospatial data is to develop, deploy, and implement a unified base map (with authentic geospatial Information) for the entire Sultanate of Oman, incorporate and approved by the concerned authority that is seamless, universal, accessible, timely, and supportive of multiple member missions and visions.” The main challenge towards NSDI has to incorporate the various data from different source and different format to integrate and build an unified data standards that specify the infrastructure for geospatial standardization and data model for geographic information. About Presentation Data interoperability in business process management Geographic Information Systems (GIS) has become a part of mainstream business and management operations around the world in organizations as diverse as cities, government, utilities, telecommunications, railroads, civil engineering, petroleum exploration (private and public sectors). This array of institutional types is integrating GIS into their daily operations, and the applications associated with these systems are equally broad from infrastructure management, to Land Management / Land Allocation, to site selection, to research and analysis. This paper presents a point of view regarding the importance of GIS in Business Processes and how to utilize / integrate data Interoperability within the business Process Management, Also this paper will include an real example and references. About Speaker Lieutenant Colonel. 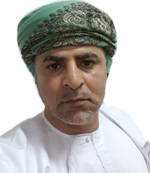 Yousuf Bin Harith Al Nabhani was Graduated from Sultan Qaboos University in 1994, college of Arts , geography . 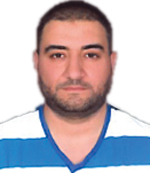 He holds a Higher Diploma in Geography from Egypt and has earned Master in Science (Geographic Place Names) in 2007 from Glasgow University, UK. Working in NSA for 21 years and have held different positions. 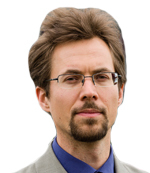 Since 2007 up to Early 2015, he was responsible for Geographic Information Services. Recently, he is (the head of Geographic Place Names branch in NSA). About Presentation The Role of Omani Geographical Place Names and the Importance of Unifying it Among the Different Institutions Geographical names play prominent roles in various fields in Oman. They are not only used in Geography to identify positions and places in maps but they are also used in various other fields. For example, historians use them to identify the place of events. Moreover, in military geographical names are used in war plans. In addition, they play an important role in the economy. Although the Geographic place names are of high importance in various fields, there are some problematic issues related to their usage, management and differentiation of the transliteration for the geographical names from Arabic to English language. This paper seeks to consider these issues and contribute to developing the use of the existing geographical names on maps in Oman. 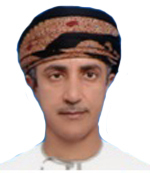 The main aims of this paper are as follows: (1) To highlight the definition and importance of the geographical names in Oman ; (2) to identify the existing procedures of collecting and accrediting geographical names in Oman; and (3) to define the unifying process of transliteration and the UN process. About Presentation GIS - An effective tool in Flood Disaster Management and Control in Oman With the recent flooding events that affected the Sultanate, a lot of attention has turned towards assessing flood-related damages in order to assign and focus relief efforts, and towards mitigating future damages by identifying and fortifying high-risk regions. Digital Elevation Model (DEM) which represents the elevation of surface on earth can be used effectively to know the areas prone to flooding using Geographic Information System (GIS). The infrastructure should be laid in such a manner that it should have minimum impact of natural calamities like flood. Sometimes it is not possible, hence preventive measures should be taken to protect areas of high importance like Airports by identifying correct location of flood Protection dams. In the present scenario, geospatial data is available in discrete form, format, created from different sources and techniques. This makes the GIS analysis difficult and the resultant output may not be a good one. There is an urgent need to create a Spatial Data Infrastructure (SDI) that provides a framework of standards, policies, data, procedures, and technology to support the effective coordination and sharing of spatial information among a community of stakeholders. National Survey Authority (NSA) is the custodian of Geospatial Information in Oman, it hosts accurate & recent maps (1:50,000 & 1;100,000 scale), true colour orthophotos (0.5m resolution), elevation & vector data at various scales. This data is based on recently established ONGD14 (local datum for Oman) using high precision CORS network that offers cm level accuracy. About Presentation Role of GIS in Smart City Development A city by definition is a geographic entity and GIS is an integration of Hardware, software and Data for capturing, Managing, Analyzing and displaying all forms of geographic information referring to any entity. Smart City is one which provides various smart services to the people through integration of smart urban planning, smart utilities, smart governance, smart energy management and conservation of resources with underlying use of the technology and instrumentation leading to socio-economy and sustainable development. GIS plays a vital role to provide the frame work in the development of Smart City. About Presentation GeoProjects, Unleash the Geographic Component within Your Projects Today, many Executives and Project Managers might not have the time to sift through the details in order to quickly grasp the state of their projects. Even though all the transaction data is there, they simply want things organized into a format that they can quickly absorb. Executives and Project Managers often ask their staff to design and build custom summarized reports, excel spreadsheets and trend graphs so the information can be provided to them in a more concise way. While this may provide the executive with what s/he is looking for, it may add unnecessary work to the staff’s already busy schedule. Therefore, not being able to access information as quickly as one would like can actually cost money. It is more critical than ever to identify problems quickly, recognize challenges and deal with them before they become critical. 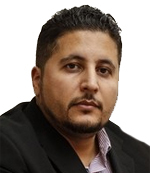 GeoProjects is a solution framework implemented by Khatib & Alami and deployed in several Governmental Authorities. The main objective of GeoProjects is to improve Capital Investment Planning, Control and Monitoring by providing the tools to Define, Visualize, Plan, Track and Analyze projects to promote full awareness, coordinated development, corrective measures, and complete transparency. About Presentation Multi-Source Spatial Data Activities and Integrations Issues in SDI Development Spatial data is considered as one of the most important factors affecting civilization and development. It is a prerequisite in the process of planning and decision-making. Many countries around the world try to take advantage of the beneficial use of spatial data by facilitating the spatial data integration from multi-sources within the country. This requires many administrative, legislative, institutional and technical procedures. Many countries world-wide have made serious attempts to contributed to the dissemination and use of spatial data application by enhancing participation and cooperation between all institutions and by preventing the overuse of the country is resources and by reducing duplication of effort and data. Furthermore, efforts have been made to keep the spatial data up to date, protected and accessed by all segments of society in an easy and quick manner. There are many obstacles surrounding the optimal exploitation of spatial data within the country. These obstacles are classified as factors related to technology and spatial data construction and non-technical factors related to humans’ interaction with this technology. Therefore, this lecture aims to highlight the concept of spatial data integration and the most important factors affecting this process within the spatial data infrastructure framework in the Sultanate. About Presentation Geo Enabling Omani Citizens - G2C Initiatives by NCSI Now a days; the geospatial information become a lifestyle for individuals in their day to day activities, thus, a continuous, trustful and up to date streams of spatial information is a necessity. At ONSDI, are committed towards the local community as much as we do towards other government and privates sectors entities. Since the citizens of Oman are the core of this nation, ONSDI and since day one, targeted and still targeting them with wide range multispectral geospatial services to enrich their lives and improve the public geo awareness. This presentation will focus on NCSI's initiatives for community.